Natural fibers such as flax or hemp may be used in composite materials. However, their use for this purpose is hampered by the large natural variation in tensile strength and other quality parameters. The first step in managing these variations is to develop methods for fast and reliable determination of relevant parameters. One quality parameter of the fibers is the amount of structural distortions known as dislocations or kink bands. Here, a method developed for the quantification of dislocations in pulp fibers was adapted and tested successfully for hemp yarn segments. The method is based on acid hydrolysis and subsequent determination of the fiber segment length distribution. The premise of the method is that acid hydrolysis causes fibers to break in the dislocations rather than in other places. By use of polarized light microscopy and image analysis it was found that the premise was correct, and furthermore results showed that fibers broke more often in large dislocations than in small ones. However, it was also found that the hemp fiber segments did not break in all dislocations, and strict standardization of the procedure for acid hydrolysis is therefore necessary if results from different batches of fibers are to be compared. The author wishes to thank Paul Ander for helpful discussions regarding his method and Elisabeth Björk for access to the raw data output from the FiberMaster in addition to the standard result files. Ann Marklund is thanked for the Kajaani measurements. Ulla Gjøl Jacobsen’s laboratory assistance and Bo Madsen’s donation of the hemp yarn is much appreciated. 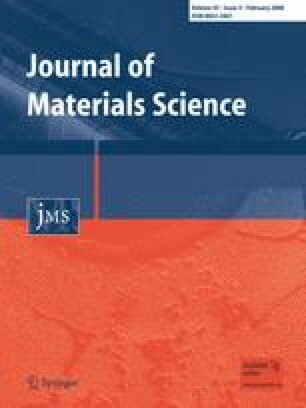 This study was initiated within the project ‘High performance hemp fibers and improved fiber network for composites’ financed by the Danish Research Council. Most of the work reported here was carried out at the Department of Civil Engineering, Technical University of Denmark.